The global beauty industry is facing a watershed moment. From pop star Rihanna’s inclusive Fenty Beauty make-up range to millennial-friendly beauty brand Glossier, upstarts are muscling in on the business of looking good and rewriting the rules of the beauty business. In Singapore, brand distributor, retailer and e-commerce company Luxasia has been introducing some of the finest global beauty brands such as Hermès, Guerlain and Prada to the Asia-Pacific region for the past 32 years. 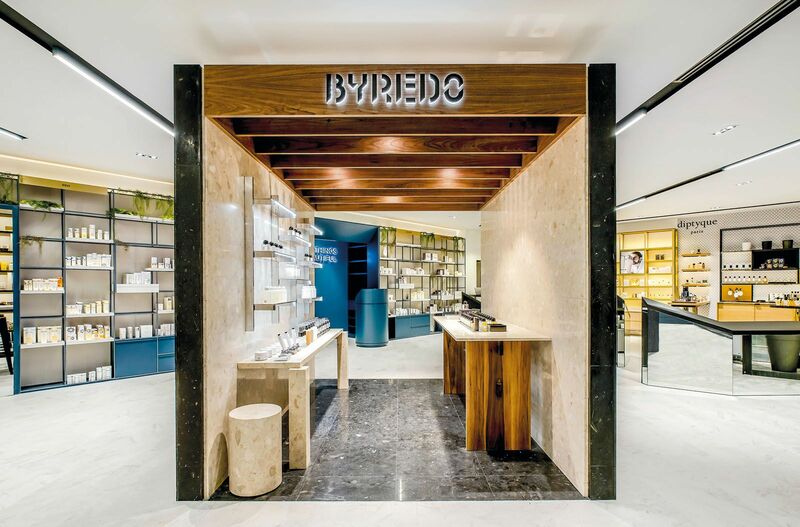 Its cult beauty store, Escentials, continues to stock niche beauty brands such as Byredo, By Terry and Diptyque, and launched its e-commerce site, escentials.com, in 2017. How did Luxasia make the jump into the digital space? Wolfgang Baier (WB) Our niche beauty store, Escentials, started as a unique retail concept for discerning consumers. However, given how information-savvy consumers these days tend to prefer doing their research online before they purchase, it was clear that we needed a fully equipped e-commerce site that reflected the luxury finesse of our stores. What is the key challenge for the beauty industry? WB The biggest challenge right now is how digital has disrupted the industry. With social media and the increased relevance of key opinion leaders, consumers are more likely to chance upon products based on the influencers they follow. Brands and companies need to be mindful of how to engage and delight these key opinion leaders. That can significantly improve the reach and speed of brand discovery across many markets (though not all), and bring traffic back to department stores where the customer can enjoy the full brand experience. The next step is to allow customers to buy what they want, from wherever they are. It is about the omnichannel consumer experience. Have established brands been too slow to engage the digital space? WB While they were slower in adopting digital strategies, many have now become more savvy. It is interesting to see many big beauty players appointing a chief digital officer, or a senior executive with a mandate for engaging the digital space. While this is the right spirit, the devil is in the details, and the challenge is in executing that transformation across the entire organisation. To not know, or worse, to misunderstand the market and its local consumers can lead to drastically damaging consequences. Essentially, this is about knowing your consumers well. Bear in mind that consumers’ trust is built over time through product excellence. Brand authenticity and marketing integrity is important both online and offline. What do upstarts like Fenty Beauty and Glossier do well? WB They engage consumers at various stages of both the brand experience and the purchase decision-making process, across multiple platforms. They understand their consumers, and they work fast. Social media and blogs are the right channels for reaching consumers, and enable agility when it comes to responding to their desires. No longer is it all about building impressive multimillion-dollar flagship stores. Don’t get me wrong, flagship stores are great, and for some brands even necessary. But they are no longer sufficient. How is Luxasia introducing concepts and brands in ways that are relevant to today’s consumers? WB It is not about overwhelming consumers with too many options, but rather engaging them through novel pop-up concepts, with services such as engraving, head massages, and even augmented reality experiences. In the Philippines, we recently introduced Freyja, a store that doubles as a beauty community hub. Engaging consumers there, and through the store’s Instagram account (@beautybyfreyja), are some of the ways we are trying to hear from our consumers more clearly, so that we can delight them further.